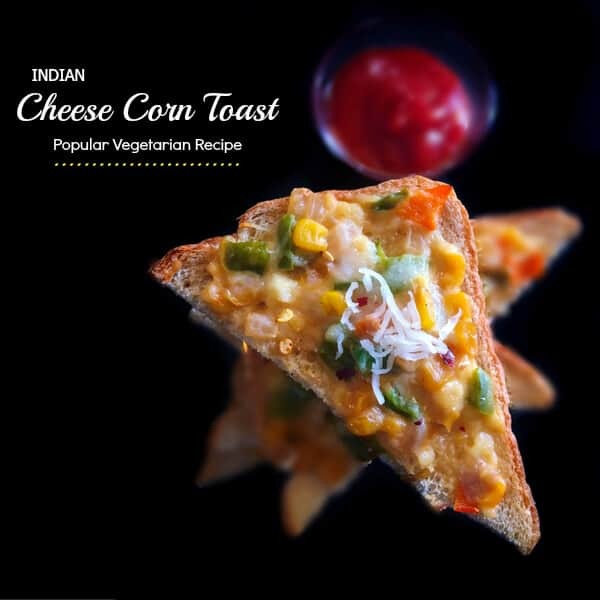 Indian Cheese Corn Toast: An easy and mouth-watering recipes using cheese, corn, bread and seasoning. Perfect for breakfast or kids snacks – ready in 15 minutes. It’s a mixture of corn, capsicum in a light white sauce baked on bread. 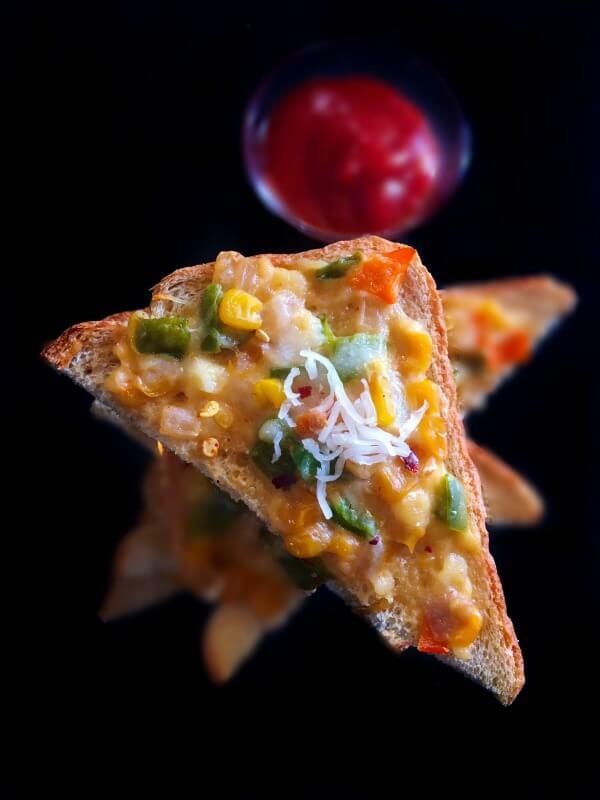 Indian Cheese Corn Toast is a perfect Appetizer / Back to School Snack / Breakfast. 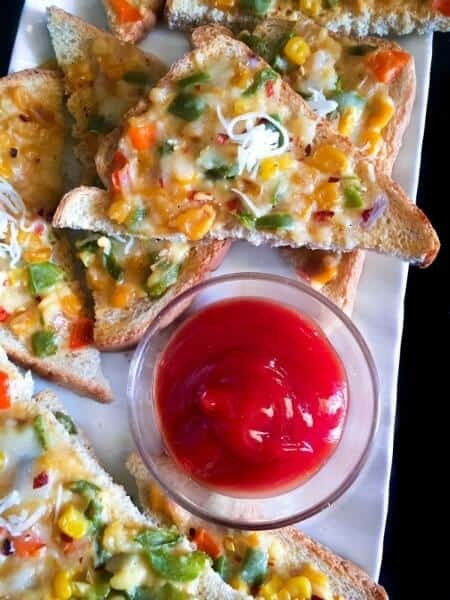 Growing up, these Indian Cheese Corn Toast were my absolute favorite after-school snack or weekend breakfast menu. I had to share this nostalgic recipe along with my other food blogger friends and we are bringing to you a mouthwatering array of Corn Recipes. You can even call it a Desi Pizza Slice (Desi = Indian), as it had all the toppings we wanted on a pizza and the white sauce (also known as Roux) was a homemade substitute of cheese. So Voila – you have your pizza slice in a jiffy. Now, we call the then Indian Cheese Corn Toast, a ‘cheese corn toast’ and it makes our weekend brunch/breakfast/appetizer menu so darn easy and delicious. It’s so easy to make these Indian Cheese Corn Toast and you can use just about any kind of bread you have at home. Just slice them into whatever shapes and there are 2 ingredients that are an absolute MUST for this recipe – Corn and Capsicum (Bell Pepper). The sweetness of the corn, when combined with the spicy/sweet capsicum, adds such an awesome flavor and you can mix any other veggies of choice like onions, carrots, peas (even meat/bacon bits). Just make a simple roux (the procedure in recipe card) and mix all the veggies. Spoon them on the sliced bread, top it with cheese and bake. It’s appetizer, you can make a night before and simply reheat (bake/microwave) and they’re ready to serve. With Corn available so easily in the market, this is my favorite munching recipe these days and I hope you get to try it soon. 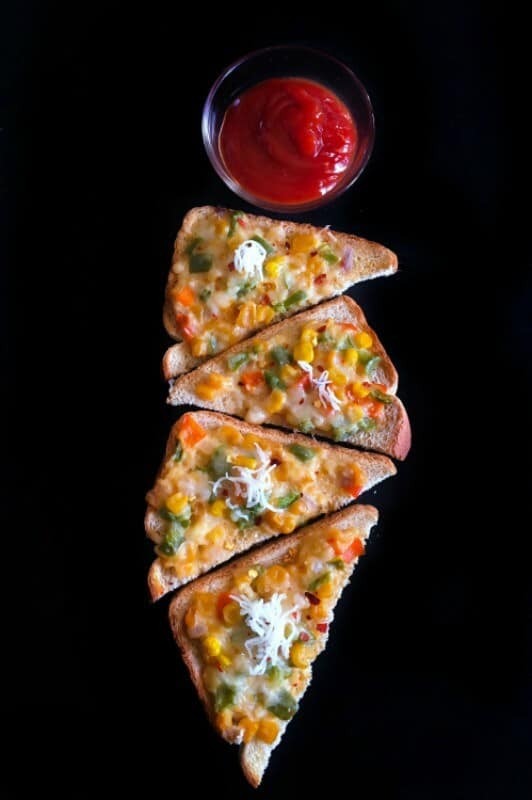 If you’re a busy parent looking for an easy #backtoschool snack recipe, this Indian Cheese Corn Toast is definitely a quick and delicious contender. 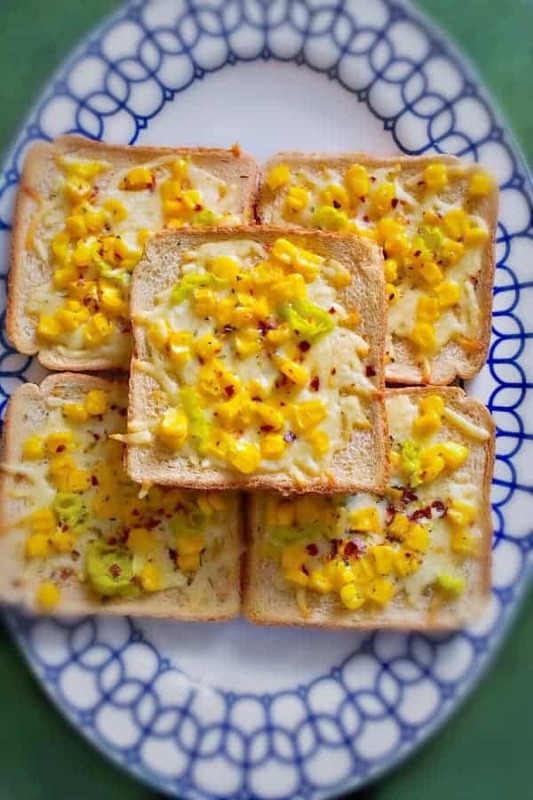 Indian Cheese Corn Toast: An easy and mouth-watering recipes using cheese, corn, bread and seasoning. Perfect for breakfast or kids snacks - ready in 15 minutes. In a nonstick pan, heat 2 tbsp butter. Once the butter is melted, add all purpose flour and mix evenly. Keep the heat at low and saute the butter - flour mix for 2 minutes. 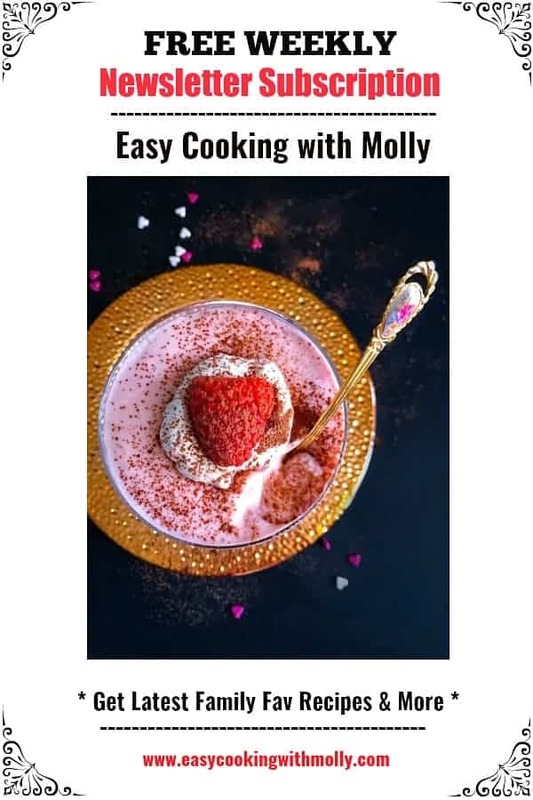 Add milk and mix evenly to form a smooth batter. Add salt, pepper, all the mentioned veggies and keep mixing the batter till it thickens and coat the back of a spoon. Turn of the heat and remove the pan and let this mixture cool a bit. Spoon the mixture over each slice (cut into a triangle) and sprinkle with cheese. Place the slices on a baking tray and bake for 8 minutes. Remove the baked cheese corn toast from the baking tray and serve fresh. 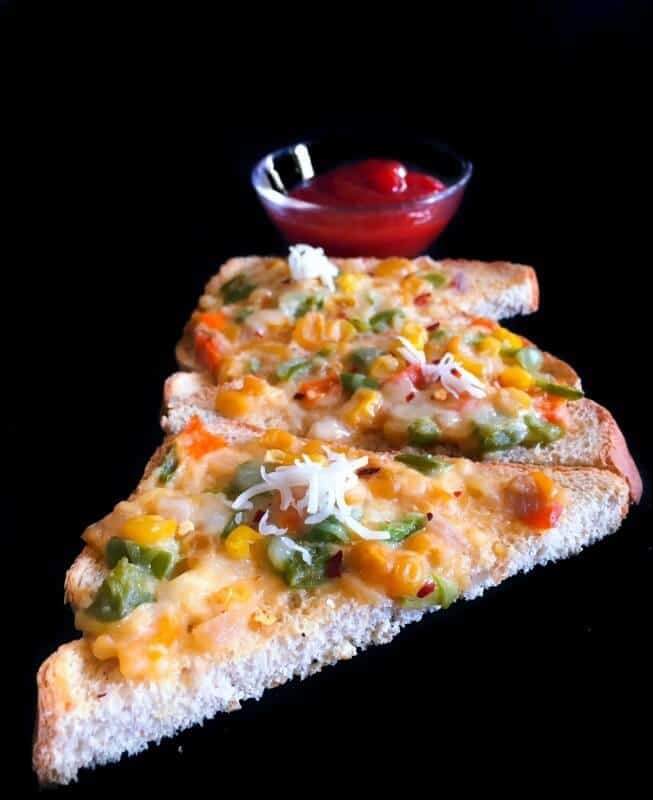 36 Replies to "Indian Cheese Corn Toast - (Quick Recipe) #backtoschool"